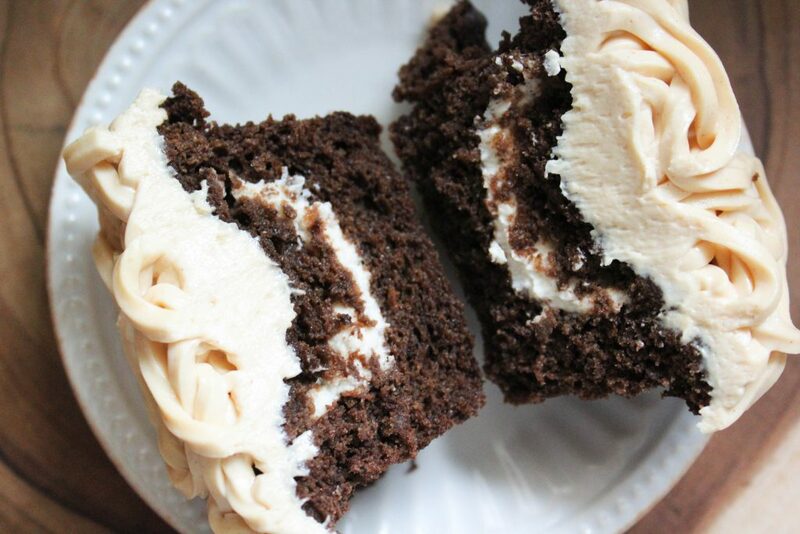 A rich and fudgy brownie topped with a swirl of peanut butter cheesecake. This recipe is low carb, sugar free, gluten free, and a Trim Healthy Mama S Fuel. After I published my Peppermint Cheesecake Brownies, I had a reader ask for a peanut butter version. I had already been thinking along that line, but it has taken me a month to get around to testing them out! 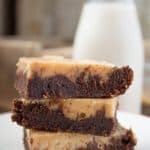 I am happy to report that these Peanut Butter Swirl Brownies are just as delicious as they look! 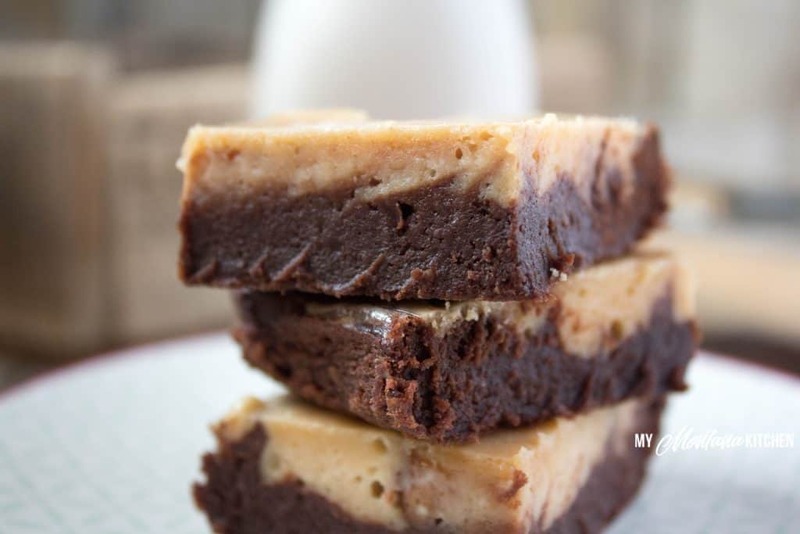 The brownie itself is dense and fudgy, while the peanut butter cheesecake layer is creamy and melt-in-your-mouth. I probably should not tell you how many of these my 2 year old ate . . . in fact, I’m not sure I even know myself! Suffice to say, she loved them – and so did I! 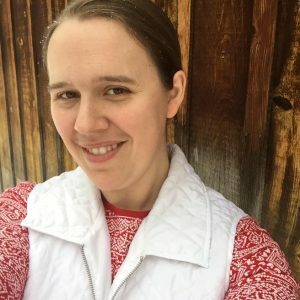 The batch I made for photos is completely gone – I think I need to make another batch this week. I want to play around with the brownie base a little bit and see if I can create my own fudgy brownie recipe. Brownies are my weakness – always have been. Stay tuned for those updates! These brownies are so easy to make – nothing hard or complicated. Simply melt the chocolate with the butter and mix in all the other ingredients. Swirl the peanut butter cheesecake on top, and bake! These taste good the same day you have baked them (after they have cooled), but they taste even better the next day after they have been refrigerated. I enjoyed the last one with my coffee yesterday morning! If you do not have the Trim Healthy Mama Baking Blend, you can mix up a blend of equal parts almond flour, coconut flour and flax meal. You can use that mix in a 1:1 measurement in place of the THM Baking Blend. (Be advised that this will change the nutritional information since it is calculated with the Baking Blend.) I often make my own Baking Blend. Be sure to look underneath the recipe card to see some more of my favorite peanut butter – chocolate recipes! 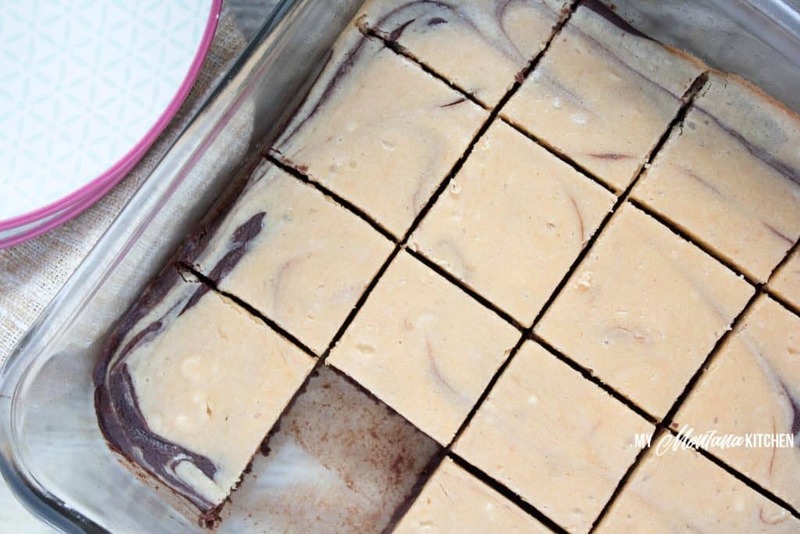 So, what do you need to make these Low Carb Peanut Butter Swirl Brownies? 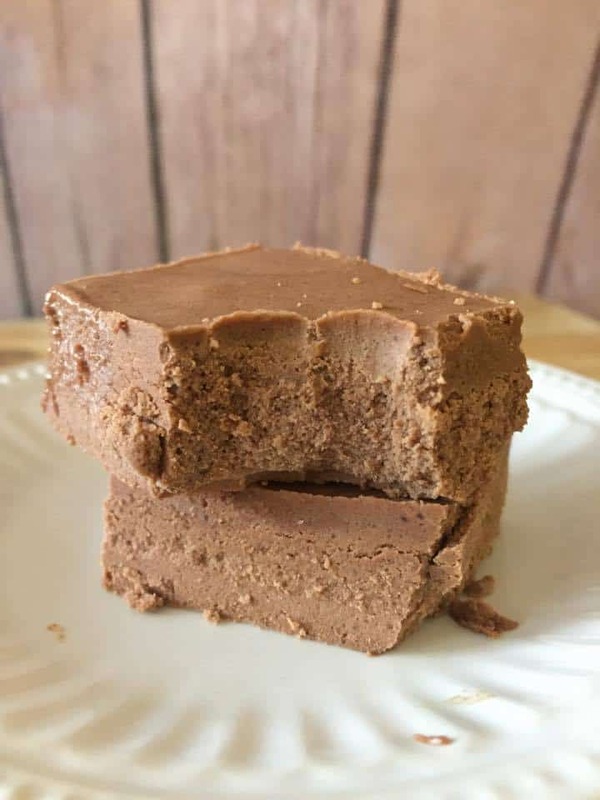 In a microwave safe bowl, melt the chopped unsweetened chocolate and butter until smooth. I melted mine in 30 second increments, stirring after each. Add Gentle Sweet, Baking Blend, eggs, and vanilla and beat well. 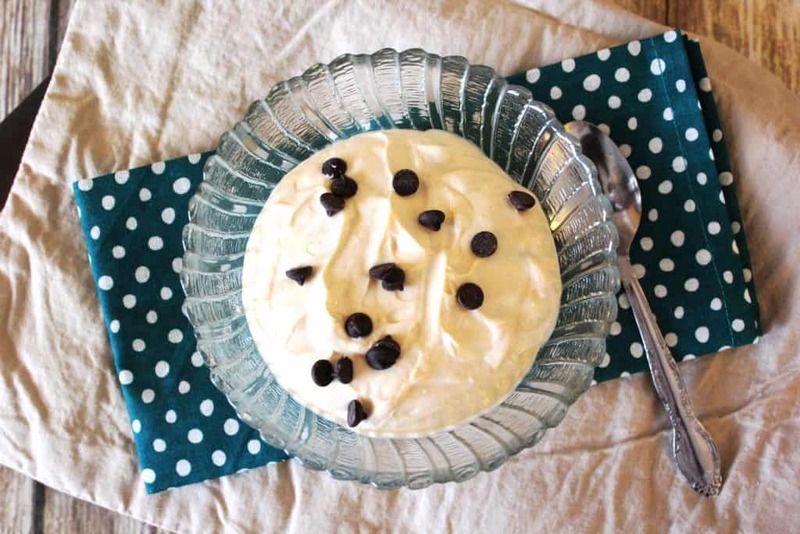 Mix softened cream cheese with Gentle Sweet, peanut butter, and the egg. Pour over top of the brownie mixture. 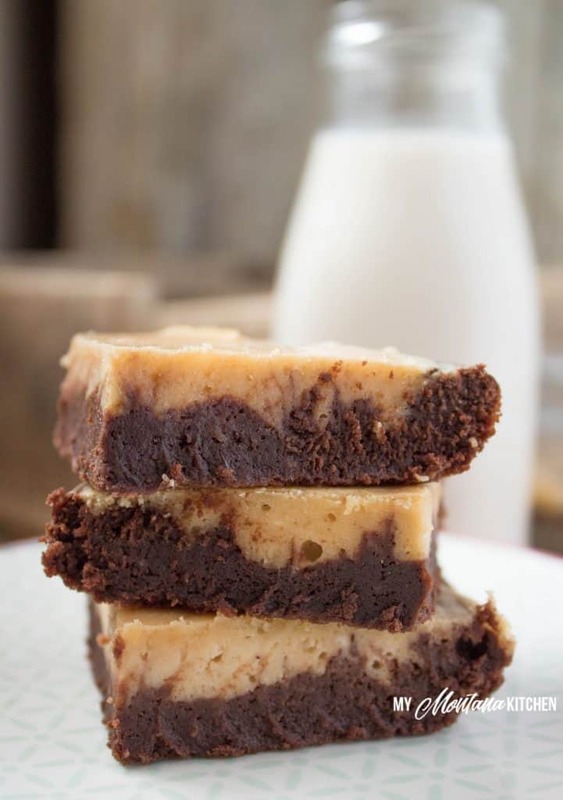 Using a knife, swirl the brownie and cheesecake together. 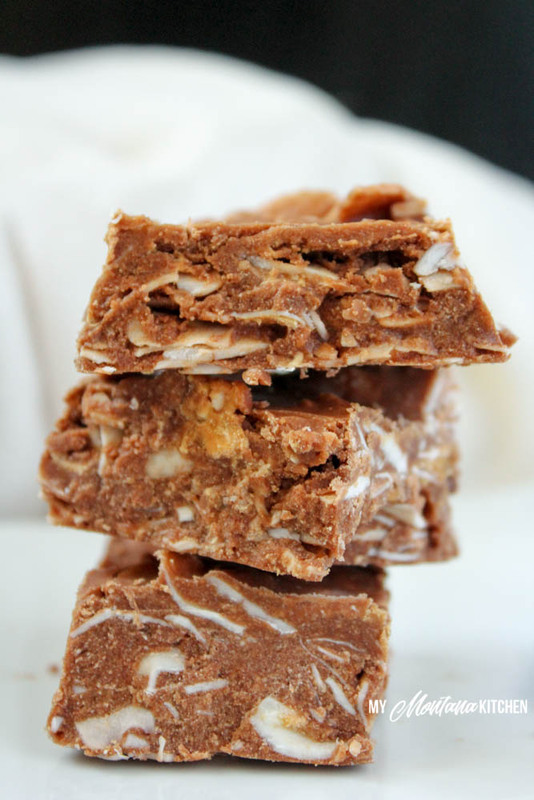 If you love the combination of Peanut Butter and Chocolate, be sure to check out some of my other Peanut Butter/Chocolate Recipes! Unfortunately, I have not tried this recipe with anything else. However, you could use any low-carb brownie recipe, and just add the top layer to those! Hey! I am new to THM, but I just had to make this tonight. I didn’t have any baker’s chocolate, so I used unsweetened cocoa and olive oil to replace it (4Tbsp of cocoa and 1 Tbsp of oil per 1 ounce of chocolate). This may have made it off plan, but I figured it was better than making boxed brownies! It was DELICIOUS!!!! That was still completely on plan! I’m so glad you enjoyed them! These look so yummy! I’m assuming I can use Lily’s chocolate and just use less gentle sweet. what size pan do you put these in? I use an 8×8 Pyrex dish. Just made these, they are very fudgy and rich!! I did notice the butter seemed to separate a bit in the batter. Is that normal? I’ve noticed it happens with the baking blend alot in other recipes I’ve tried (perhaps I overmelted the chocolate and butter). Also, do you know if they can be frozen? Absolutely delicious! I used Lily’s chocolate and added half the sweetner. This is one happy reader!!!! Can I use any type of sweetener and just sweeten to taste? I’ve never used gentle sweet, was hoping to use what I have on hand already. Do you think the ratio would be the same?